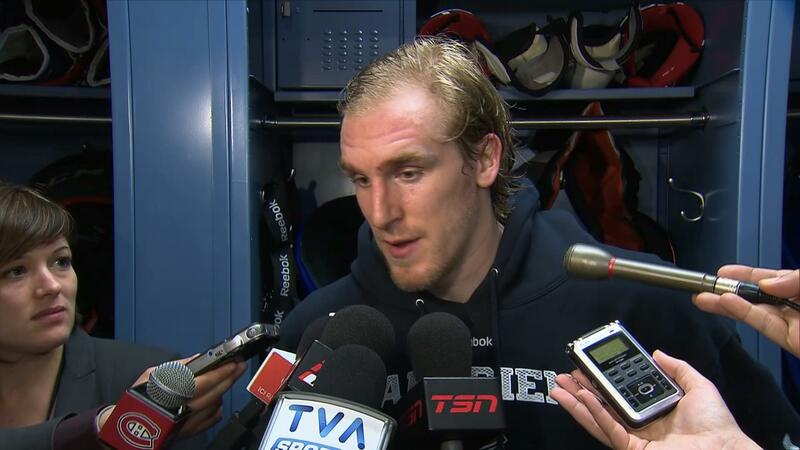 Dale Weise scored just six goals in the regular season, but he saved his biggest goal for the playoffs. NHL Playoffs are one of the most exciting times in all of sports. NHL playoff games that go to overtime ramp up the excitement by an immeasurable amount. Of course, if you are a fan of one of the two teams, sudden death hockey can be extremely nerve wracking. Just ask the fans who watched the seventh game of the 1994 Eastern Conference finals between the New York Rangers and New Jersey Devils. The Montreal Canadiens and Tampa Bay Lightning did battle four times during the regular season with three games ending in overtime or a shootout. With no shootout, thankfully, in the playoffs, the two teams went to OT in Game 1 o their opening round series Wednesday night. Montreal outshot Tampa Bay 44-25, but Anders Lindback, filling in for injured starter Ben Bishop, kept his team in the game. The Lightning blew 1-0 and 2-1 leads and the Canadiens couldn’t maintain 3-2 and 4-3 advantages. The tying goal came when the Lightning’s Alex Killorn fought his way out of his own zone, which resulted in two-on-one advantage. Habs’ goalie Carey Price committed to Killorn, who then deftly slid a pass to sniper Steven Stamkos, who merely tapped the puck into the open net. Shots on goal were nine apiece in overtime, but it was the Canadiens final shot with just 1:52 left in the first overtime that ended the night. Montreal’s Daniel Briere backhanded a pass from behind the Lightning yet to Dale Weise, who was alone in the slot. Weise fired home the game winner for a 1-0 advantage in the series for Montreal. Rookie Yangervis Solarte has had quite the eventful first month of his freshman season. The triple play is still one of the most exciting and rare happenings in baseball. The first “you’re out, you’re out, you’re out” of the 2014 season was turned by the Yankees Thursday night. The Tampa Bay Rays had two aboard with none out in the bottom of the second inning against CC Sabathia. Down 4-0, Sean Rodriguez had a chance to get his team back in the game. But instead, Rodriguez hit a grounded toward third base. Yankees rookie Yangervis Solarte stepped on third to force Evan Longoria, then pivoted and threw to Brian Roberts at second base to retire Wil Myers. Then the pièces de ré·sis·tance – Roberts threw a one-hopper to first base that Scott Sizemore scooped out of the dirt for an around-the-horn triple play. With 11 wins in their final 15 games, Tomas Vanek and the Canadiens look to upset the Lightning. At first glance, many would think that the Tampa Bay Lightning’s 46-27-9 regular season record, the presence of their now-healthy superstar Steven Stamkos, and the play of goalie Ben Bishop would make them a heavy favorite over the Montreal Canadiens. Bishop, in particular, was outstanding. He posted a 37-14-7 record with a 2.23 goals against average (GAA), a .924 save percentage (SV%) and five shutouts. As pretty as these statistics may look to the casual observer, they don’t tell the whole story. The following stats and league ranking are a truer indicator of the Lightning’s season and their playoff hopes. The team ranked ninth in the National Hockey League in goals this season, despite the leg injury which limited Stamkos to 37 games. When healthy, Stamkos was a goal-scoring machine. He scored 25 goals and added 15 assists for 40 points in 37 games. Youngsters Ondrej Palat(59 points in 81 games) and Tyler Johnson (50 points in 82 games) were productive for the Lightning, as well. Veteran forward Valtteri Filppula added 58 points in 75 games. The offense took a big hit, however, when their leading scorer was dealt at the trade deadline. Martin St. Louis topped the Lightning score sheet with 29 goals and 61 points in 62 games before being traded on March 5 to the New York Rangers in exchange for Ryan Callahan. Although Callahan is an excellent all-around player who can contribute to the Lightning’s penalty kill (PK), the absence of St. Louis may potentially hinder the offense of the team and the effectiveness of Stamkos. There is no question that Stamkos is a bona fide superstar, but the loss of St. Louis puts more pressure on him to fill the net with vulcanized rubber. Questions about the offense aside, trading for Callahan made sense for the Lightning, as their PK ranked 23rd in the NHL this season. It’s an alarming statistic, particularly when you consider how fantastic Bishop has been in goal. The goalie’s numbers may be misleading though, as his play declined sharply after the Olympics. Prior to the international games, Bishop was 28-8-4 with a 1.98 GAA, a .933 SV% and four shutouts. After the break, Bishop went 9-6-3 with a 2.79 GAA, a .904 SV% and one shutout. While a goalie can never be solely blamed for a decline in performance, the drastic changes in the numbers are still startling. At the moment, the bigger question about Bishop is his health. He is already scratched from Game 1 due to the upper-body injury he suffered last week. Backup goalie Anders Lindbackgets the start in his place. Lindback heated up at the right time, with a 3-0-0 record, 0.67 GAA, .975 SV% and a shutout in his three games in the month of April. The Lightning will need Lindback to carry that momentum into the playoffs. Having ranked 21st in the NHL in goals, the Canadiens will not be mistaken for an offensive juggernauts. However, their trade deadline acquisition of forward Thomas Vanek may have been the move of the year. The Canadiens lost their first three games after they acquired Vanek, but finished the season 11-3-1. 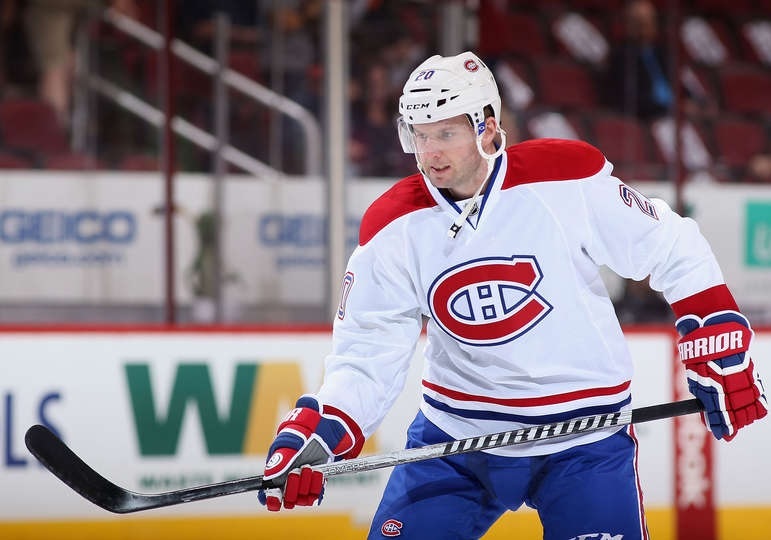 Vanek was a big contributor to the Habs’ hot streak with 14 points in the last 15 games. A player of Vanek’s caliber was sorely needed in the lineup, as the closest thing the Canadiens had to an all-star forward was the one-dimensional Max Pacioretty. The 25-year old scored 39 goals and notched 21 assists for 60 points in 73 games. Vanek’s presence also takes the pressure off of youngsters David Desharnais and Alex Galchenyuk. Although they are past their primes, veterans Tomas Plekanec, Daniel Briereand Brian Gionta provide valuable experience which may come in handy during the playoffs. Having a good mix of veterans reduces the pressures and expectations on younger players and allows them to find their game and grow. If Galchenyuk shows flashes of his potential in the playoffs, the Canadiens can be a very dangerous team. Defensemen P.K. Subban and Andrei Markov jump-start the Canadiens attack and get the puck to the finishers. Subban was among the NHL’s highest-scoring and most reliable defensemen this season, with 53 points while playing in all 82 regular season games. Markov recorded 43 points this season, including 36 assists. Should the Canadiens defense be beaten, Carey Price awaits in net to stymie any attack. While having an elite goaltender like Price does not absolve players of their defensive responsibilities, it does give them more offensive freedom to take chances, thus enabling defensemen like Subban and Markov to shine. Price was superb this season with a 34-20-5 record, 2.32 GAA, .927 SV% (3rd in NHL) and six shutouts (2nd in NHL). He also was the goalie for the Gold Medal winning Canadian hockey team in this year’s winter Olympics. The Lightning/Canadiens series is indeed an interesting match of misleading statistics. The Lightning’s offense and goaltending might not be as good as the regular season numbers indicate. Likewise, the Canadiens’ offense might not be as bad as the regular season numbers indicate. Do not be surprised if you see the Canadiens eliminate the Lightning in this opening round series. They have a proven goaltender, a good defense and an underrated offense that continues to improve. If Galchenyuk takes his game to another level in the playoffs while the others continue to contribute, the Canadiens could conceivably make a deep run and win the Stanley Cup.